My family is from the West coast of Ireland and since childhood Ive spent a great deal of time there and images of Ireland have always been with me. I set out many years ago to try and capture these images with my camera. I would like these photographs to be seen as timeless and very much about the many moods and emotions that are always present in Ireland. The photographs portray what Ireland and its past mean to me: an Ireland of light and shade; an Ireland of indomitable landscape; an Ireland of wind, mist and rain, and of course, an Ireland of people, particularly an older generation, who I have taken so many photographs of through the years - both in England and Ireland. 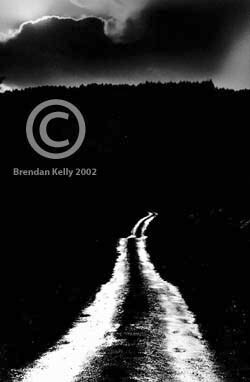 My photographs of Ireland have been featured extensively in the Irish press and have sold throughout Ireland. To view my photographs of Ireland, please click here.